News Why Is Lumbar Support Important? Why Is Lumbar Support Important? Lumbar support is any kind of support given to the lower back. This includes support given by office chairs, belts, mattresses and even contraptions such as corsets and other body shaping tools. The reason all of this attention is paid to lumbar support is because it’s required for someone to live a normal, mobile life. Lumbar support is required in order for the lower back to do its job free from pain. This includes not just the muscles, but the spine as well. If the lower lumbar is damaged, or put under constant stress, it can lead to pain and stiffness. In time that can lead to difficulty walking, or even to paralysis. A Huntington Beach chiropractor can help. Lumbar support is extremely important to one’s quality of life on down the years. 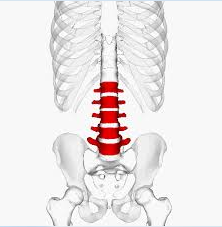 So, in order to stop any damage to your lumbar before you start getting back twinges it’s important to know what to do now. While it might seem like an exhaustive list, your back will thank you for it later. First and foremost, look at your posture. The way you stand and the way you sit can put more pressure, or less on your lower back. Changing your posture takes time, effort and concentration, but in the end you’ll be more centered, more comfortable, and you may even gain a stronger core muscle group from holding yourself in the proper position. This change can be made by anyone, and in a few months it will become second nature. Once you’ve changed your posture, you need to take a long look at where (and how) you’re sleeping. An old or lumpy mattress, a sagging box spring, or even a pillow that’s way past its usefulness can all contribute to poor sleep in addition to lumbar problems. While you don’t need to go out and buy that $10,000 science-approved mattress, it’s definitely a good idea to make sure you’re not sleeping on a lumpy, collapsing bed that’s older than you are. Lastly, to help save your lower back from unnecessary damage it’s important to make sure you get proper exercise. Exercise helps regulate your weight, but more importantly it strengthens the muscles in the lower back. This ensures that you have enough muscle to lend the proper support, and you can enjoy a freer, stronger life later on. Lumbar strength and support is like eating healthy, brushing your teeth or quitting smoking; there’s no such thing as doing it too soon. While lumbar support might be a bigger issue for some people than for others, such as those who sit at a desk in front of a computer all day versus those who are on their feet and moving while on the job, it’s a concern for everyone. That’s why it’s important to pay attention to how your back feels now, and to make sure that you don’t put it off until tomorrow. Putting it off is what leads to walking with a cane, or in the worst case scenario, not walking anywhere at all.